CarsDirect is a good choice for people who need a small amount for their car loan, or would be ok with getting an older used car, or even for those who are considering to refinance. Cars Direct is headquartered in Los Angeles and has been providing auto buying services and funding to clients since 1998. With such an extensive amount of experience, consumers find it rewarding to work with this company. As an online company, they have made it satisfying for clients to purchase a car. For dealers, the process is just as pleasing. Since 2005, Cars Direct has been recognized as Internet Brands Inc., and they have been awarded for their dedication. Industry leaders such as Time Magazine has awarded them as a “Top 100 Classic Website, ” and PC World has honored them as the “Top Site for Buying or Selling Anything.” Cars Direct has also received other awards for their competence. To begin the process of finding a car, you can start by choosing four options to guide your decision. The options consist of special incentives, buying guides and rankings, vehicle comparisons, model overviews, and reviews. By navigating through these categories, consumers can choose a vehicle based on deals offers to pertain to that brand or model. Clients can also select a car to shop for based on it’s ranking. The final options are to buy based on comparisons of vehicles, their features and also reviews. Customers also have the option to build their car based on specifications. These include color, features, and other aspects that echo their dream car. Once this is done, Cars Direct will connect you to the Internet department of a trusted dealership. The dealer will assist with financing and leasing your car. If you have a vehicle to trade-in, they will help with this as well. Although CarsDirect provides such a smooth process in finding a car, it is important to note that they do not offer loans directly. Their job is to help clients find their dream car, but the funding aspect is covered by the dealership holding the vehicle. Thus for individuals hoping that CarsDirect is the end all solution for finding a car and receiving a loan, this is not the case. Instead, another institution must be sought for financing your vehicle of choice. 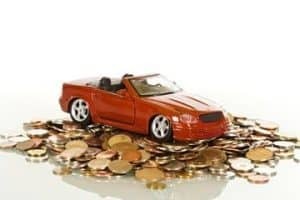 Perhaps to make the process less extensive, individuals can a seek a pre-qualified loan before they have found a car of choice on Cars Direct. This will assist in eliminating the guesswork that is tied to seeing whether you are eligible for a loan. CarsDirect is a phenomenal service. However, consumers must be prepared to search for funding on their own. Copyright © 2019. Auto Loan Source 221 Main St, Salt Lake City, UT 84101.